My favorite local theater is closing down after 25 years of entertainment. 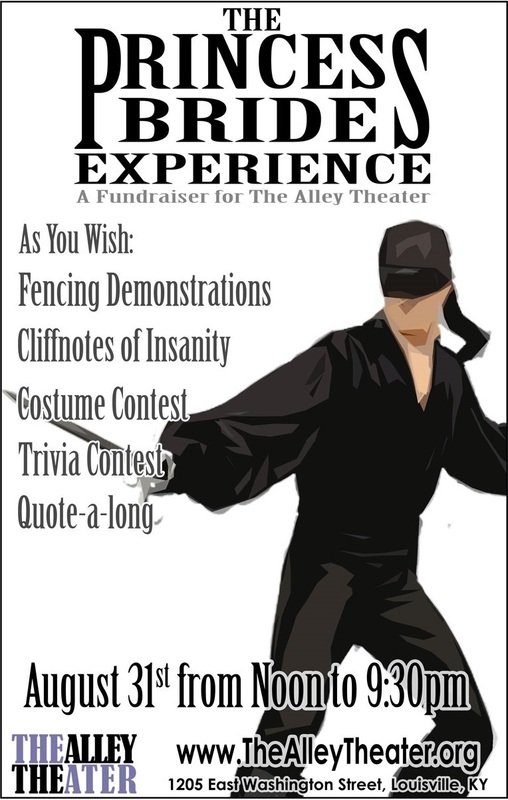 The Alley Theater has performed some amazingly fun shows over the years. 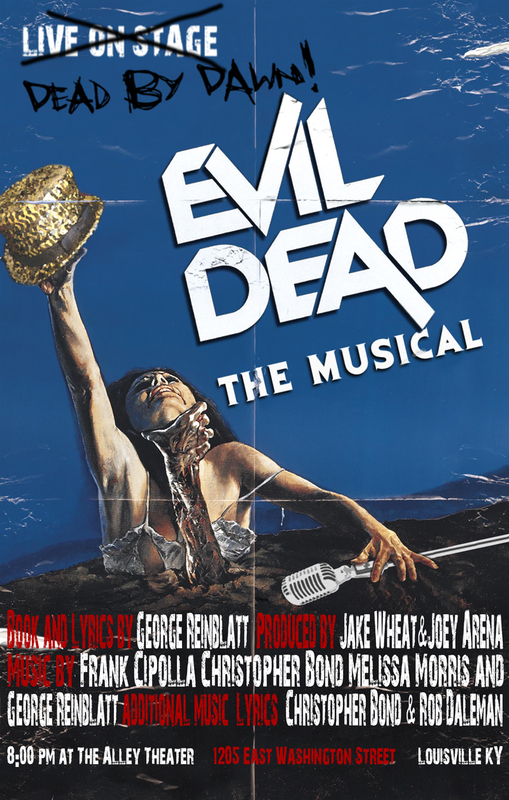 Any play about singing and dancing zombies is bound to be a blast. 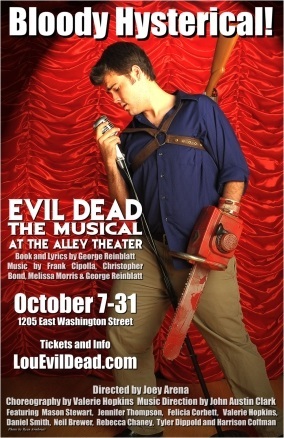 “Evil Dead: The Musical” (at one time, the production had the website LouEvilDead.com, which was amazing) was no exception. The Alley performed this one three times. The first run was in October 2009, with the final night on Halloween (which was a Saturday that year). Most of the audience wore costumes, as you’d expect. I went more casual, wearing my “I spent Halloween 2001 with Bruce Campbell” shirt from his “If Chins Could Kill” book tour. The play blends the three movies “Evil Dead,” “Evil Dead 2,” and (my favorite) the campy “Army of Darkness.” The violence is comically over the top — in fact, the first few rows of seats are the “splatter zone.” The theater provides ponchos for the brave souls who sit so close, since the fake blood sprays into the crowd during the play. Here’s a scene from the Alley’s second production, from the theater’s official YouTube channel (which also includes this threat). And here’s my favorite song from the play, although this link is not from the Alley. The choreography that this scene uses is similar to the way the Alley would normally do it, with Ash and Jake singing and dancing backup. In August 2017, Bruce Campbell came to Louisville on another book tour. This was also the day of the total solar eclipse. (Coincidence? I think not!) Instead of going into the path of the totality like a lot of my space friends, I stayed in town to see Bruce. I got his autograph on a chainsaw blade (signed both as Bruce and as Ash), which I donated to the Alley. 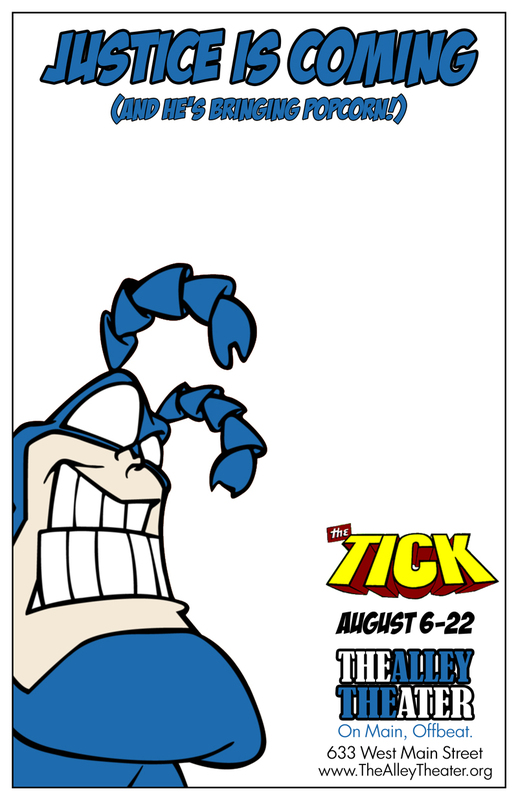 The Alley brought the big blue goofy comic-book/cartoon/live-action character “The Tick” to life on the stage. First in 2015, and again in 2018. Both runs were very funny, and included references from every incarnation of the bug of justice. Sterling Pratt wrote the play(s) specifically for The Alley to perform. 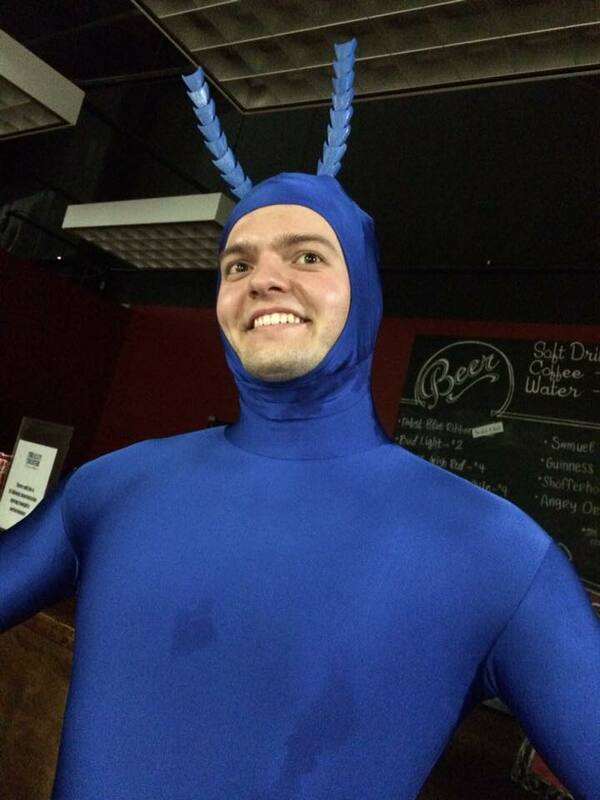 Scott Davis, creator of The Alley himself, played the Tick in the first run, and Connor Blankenship played him in the second run. Andrew Mertz perfectly played his sidekick/partner Arthur both times. As Keith Waits wrote, “The Tick” is really Arthur’s story. Fan favorite characters like the Caped Chameleon, the Evil Midnight Bomber What Bombs at Midnight, and Barry the Tick joined the fun alongside the blue and white heroes, and their friends Batmanuel and American Maid. 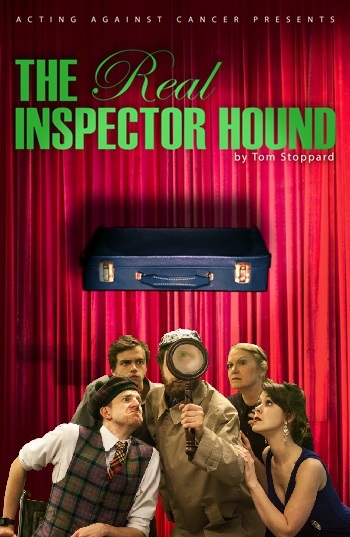 “The Real Inspector Hound” combined an interactive murder mystery (we hung out with some of the cast, in character, before the play started) with a play-within-a-play for surreal fun. During the first act, two theater critics sitting just to the side of the main stage discussed the play and their own lives as the actors performed. 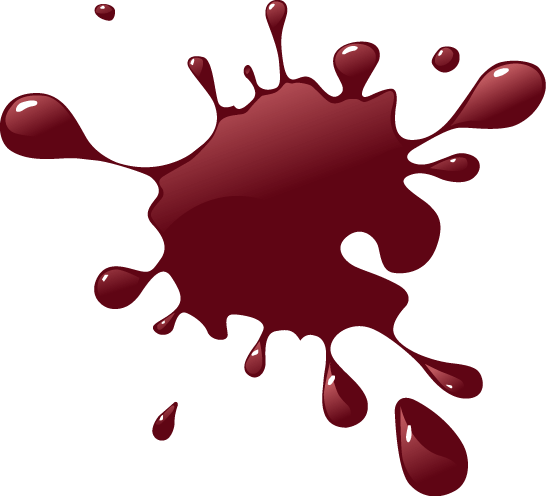 During the second act, one critic was killed and the other got swept into the play, with characters repeating much of the same dialogue from act one, but with very different meanings. It was amazing. Shavon McGill might still not be back from oiling his gun. 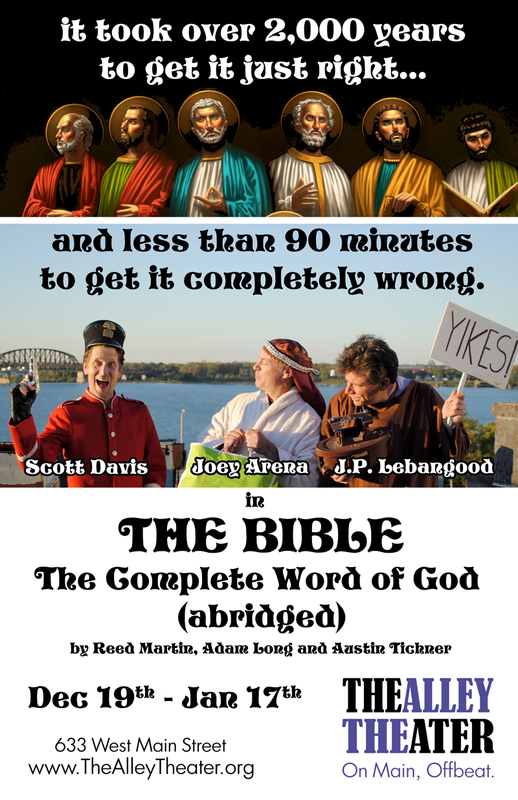 “The Bible: The Complete Word of God (abridged)” was a three-man performance that encompassed the greatest story ever told, and then some. The theater even invited me to lead off the opening performance with a prayer, but the schedules didn’t work out so I had to miss that. 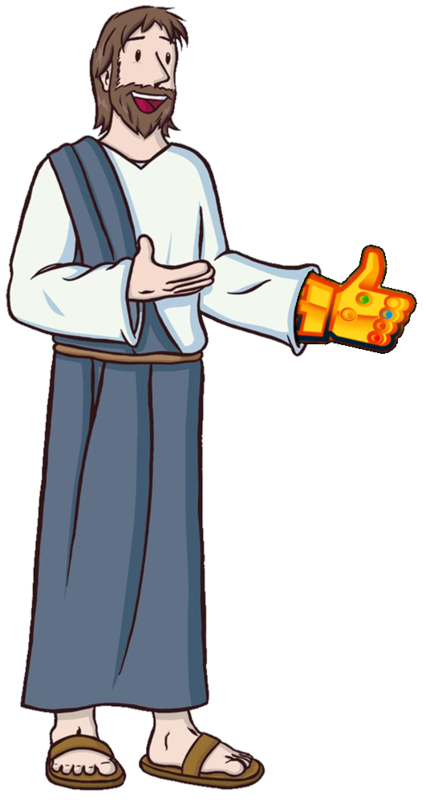 Instead, they had me preach a whole sermon before the final night. I was honored, and remain humble and grateful for the opportunity. 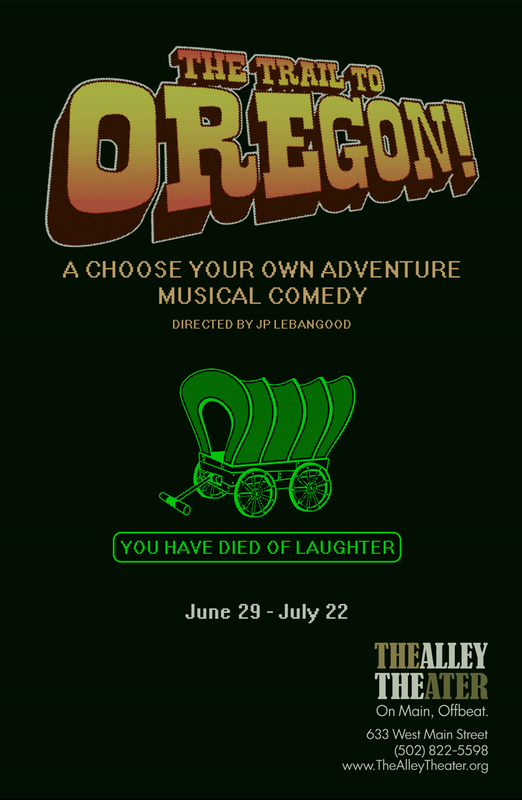 “The Trail to Orgeon” was an improv musical based on a computer game where almost everyone dies of dysentery. We, the audience, got to name the characters, and decide who died and how. I was there for opening night, and since half the audience was improv comedians (and friends of all the performers), we gave them challenging names that were incredibly long or barely pronounceable. Because that’s the kind of friends that we are. 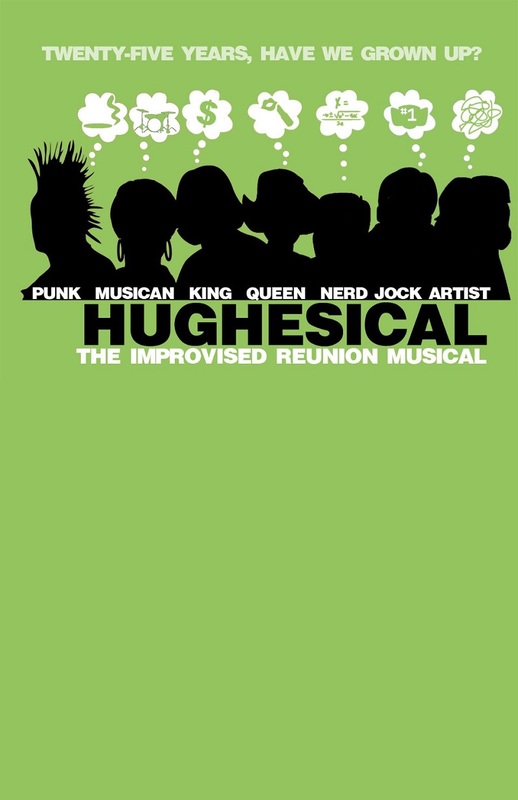 “Hughes-ical: The Musical” took the various John Hughes movies (Breakfast Club, Pretty in Pink, Sixteen Candles, Ferris Beuller) and gave it a boombox soundtrack. 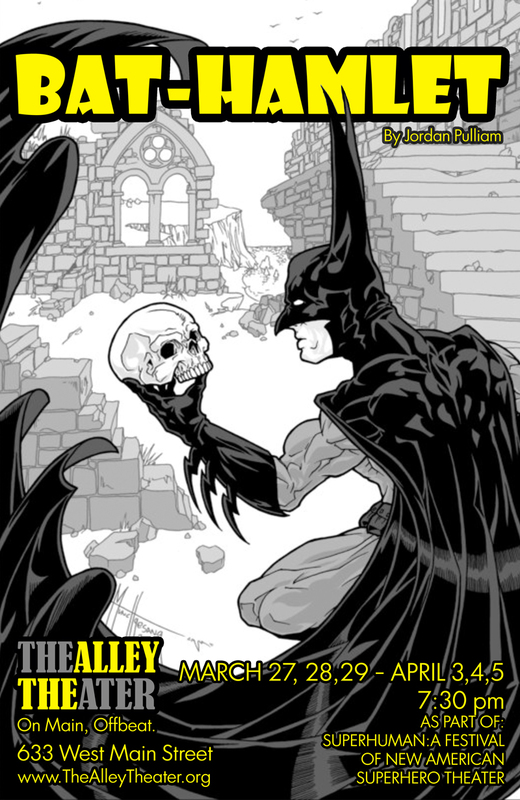 “Bat-Hamlet” was part of the SuperHuman:A Festival of Plays (a parody of the well-known and local Humana Festival of Plays). It tells the tale of a boy avenging his murdered father. You probably know the rest. 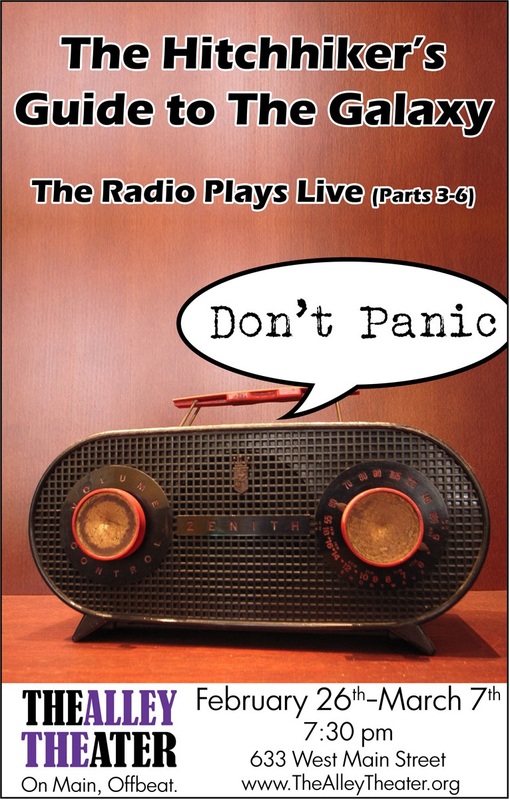 “The Hitchhiker’s Guide to the Galaxy” (from which I adapted this post’s title) was a staged reading of the original radio scripts. 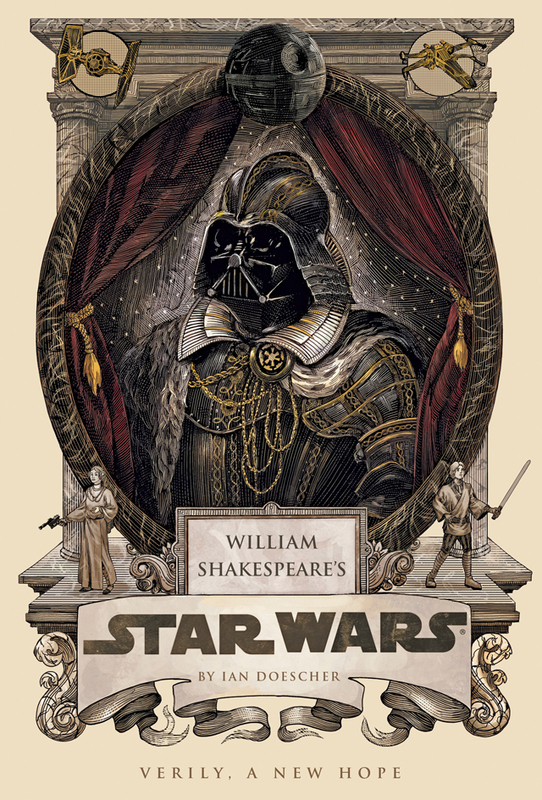 (It was a radio play before it was a book/tv-series/movie/computer-game/etc.) The adaptation was well received. 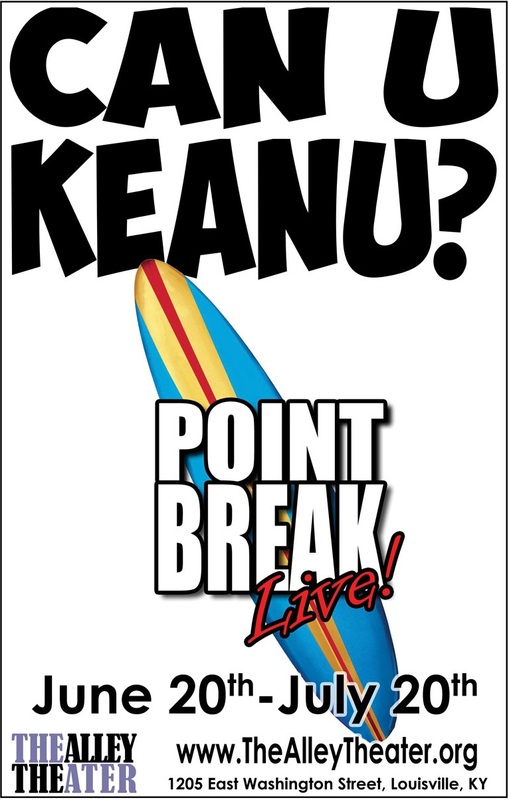 “Top Secret” and “Point Break” brought beloved(?) 80’s movies (here and here) to the stage. “The Princess Bride Experience” was inconceivable. 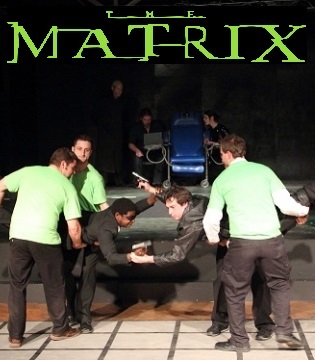 No one can be told what “The Matrix” is. You had to experience it for yourself. 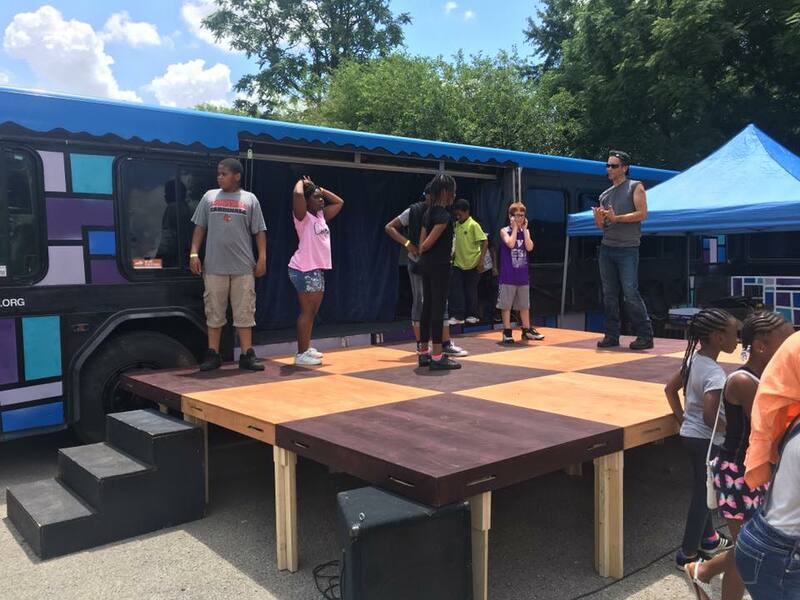 Putting on great stage shows wasn’t enough for the Alley, so they turned a bus into a mobile stage so they could take it out to schools and festivals. Despite all that great stuff, the Alley production that I’ll miss the most is the weekly Improv Jam. On Saturday afternoons, we’d gather at the Alley for hours of improv workshopping. It was a wonderful way to get a foot in the improv comedy door. I’ve made some great friends over the years of jamming with people who knew what they were doing, and with others who, like me, wanted a chance to learn and practice improv skills. 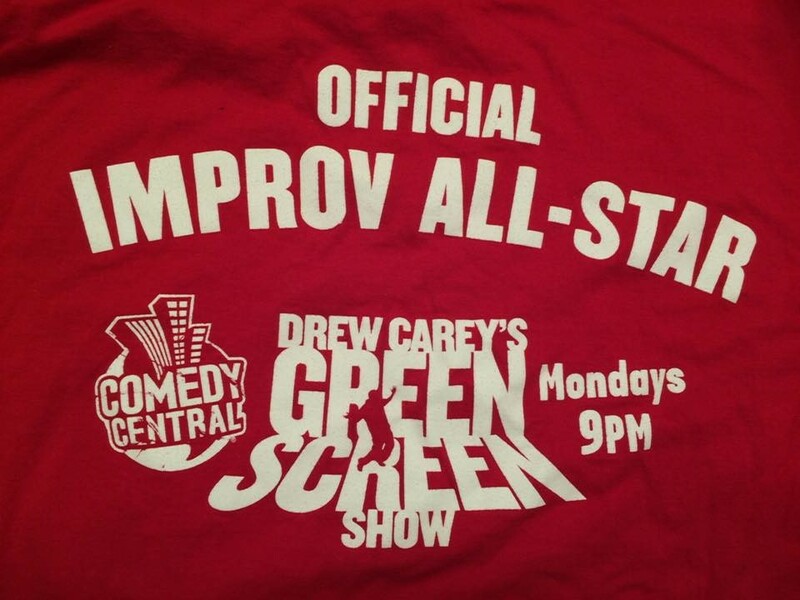 Ironically, even though improv is made up on the spot, it does take time and effort to get comfortable with it and competent at it. I’m grateful to wonderful improv teachers like Shauvon McGill, Ryan Kemp, Scott Davis, Spencer Korcz, and others for all the great jam lessons. The Alley is dead! Long live The Alley. At DerbyCon this year, I spoke about improv comedy. More specifically, how it applies to “social engineering” (talking your way out of trouble, or more maliciously tricking someone into giving up information that should be kept secret). I didn’t even notice until posting the link here, but it amuses me that the video preview shows the demo slide that I often use, with the magic rabbit and the demolition reference. “Hackers” get a bad name in popular media, but at its core, a hacker is just someone who wants to know how something works. That could be a program, a gadget, a policy, or anything else. Sometimes that includes taking something apart or breaking it or looking for a loophole. Several hackers founded the infosec (information security) conference known as DerbyCon in Louisville seven years ago. I’ve attended five or six (I forget), but this is the first time I’ve spoken there. The founders are all a great group of folks, and love giving back to the community and putting everyone at ease. The conference has four main tracks — Red Team (offense), Blue Team (defense), Purple Team (bit o’ both), and 3-Way (miscellaneous topics) — plus Stable Talks (shorter sessions on a variety of topics). There are also several other areas and events, like a social engineering village, a car hacking village, a capture the flag contest, and more. 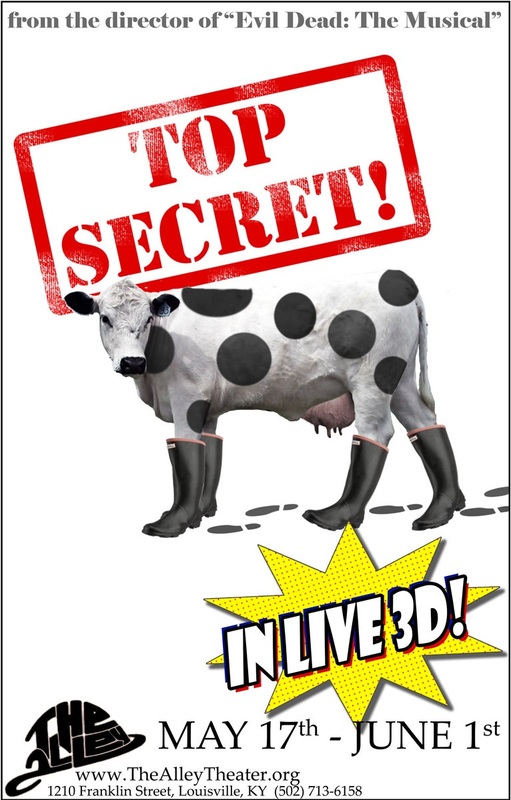 It’s very popular — in fact the 2500(ish) tickets this year sold out in just 3 minutes! If I hadn’t been speaking there, I wouldn’t have been able to go. My presentation was a Stable Talk, so I only had 25 minutes to speak. I wanted to leave time for some audience participation and exercises, so I sped through some things faster than I’d like, and there wasn’t as much detail as I’d have liked, but them’s the breaks. Learn, Travel, Meet – Engage! 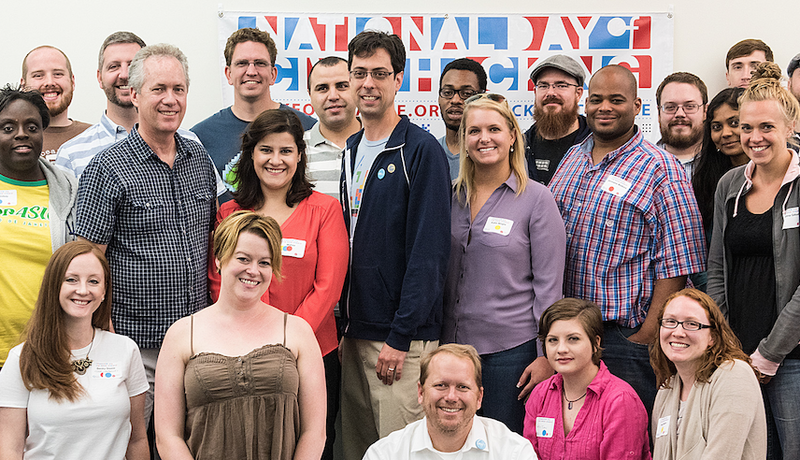 In April, I volunteered once more with Startup Weekend Louisville. 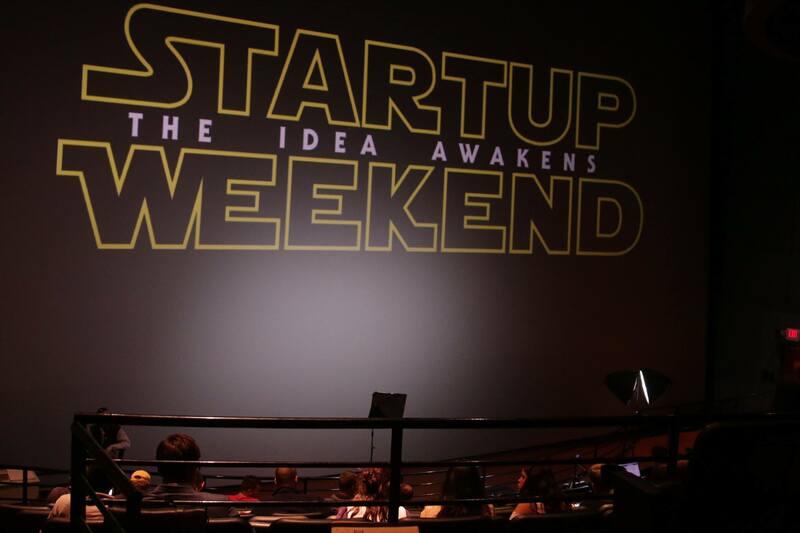 This was our tenth event, and we kept the same leadership team the whole time, which apparently makes us unique among the worldwide startup weekends. According to the global Startup Weekend organization, most teams only lead a few then peter out or hand it off. The event was held at both LouieLab and the Kentucky Science Center, which is next right door. The Science Center, and its giant IMAX screen was an amazing four-story backdrop for the keynote, pitches, and final presentations. And LouieLab, with its separate rooms and easily reconfigurable rolling tables, was wonderful for hosting the eleven teams that we had. Friday night was the kickoff. We had around sixty attendees, and half of them pitched an idea. From there, the attendees voted on their favorites, and formed themselves into teams. Our keynote speaker was Mayor Greg Fischer! Before entering into public service, he was an entrepreneur himself (in fact, my brother used to work for him years ago). He gave high praise to the startup community, and to our Startup Weekend crew in particular, thanks to us spurring on a new crop of go-getters twice a year. The teams claimed their spaces at LouieLab, and worked like mad from Friday night to Sunday afternoon. A lot of the work involved talking to potential customers in person — getting their feedback, and adjusting the team idea based on that feedback. The winning team was LifeBit, a wearable emergency alarm for the deaf and hard of hearing. 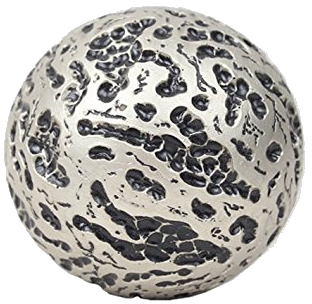 It listens for alarms in the smoke alarm frequency range, and buzzes a smart phone. (Most deaf people have attuned themselves to waking up when their phone buzzes, and many even go to sleep holding it.) I like that solution because it doesn’t have to get fancy about tying electronically with a fire alarm, and isn’t limited to a specific brand or model. It could even be extended to buzz at other loud noises (tornado sirens, train horns, and such). The LifeBit team was automatically entered into the annual Venture Sharks competition, with $37,000 on the table for the winning team. Most of the competition had already been operating for a year or more. LifeBit only had only existed less than two weeks when they entered. They didn’t win the big prize, but they did win the audience choice award. We had ten organizers, eight mentors, and four judges. This is the first time that our leader was Paul Blakeley, who was a teammate of mine at my very first Startup Weekend several years ago. Everyone (I believe) had a good time and learned some things. We’ll be doing it again in the fall (most likely early/mid October). Students from the University of Louisville hosted DerbyHacks 2.0 on February 24-26, 2017 at the Institute for Product Realization complex, overlapping into the Engineering Garage, the Advanced Manufacturing Competency Center, and FirstBuild. DerbyHacks isn’t the same kind of hackathon as the Open Data Day Public Safety Hackathon. This one is a three-day competition under the auspices of the Major League Hacking network. I attended this hackathon as an observer/advisor, not as a competitor. I love the hackathon spirit and atmosphere; the innovation energy inspires me. Over a hundred students from Kentucky colleges got together to create cool stuff. I’d guess that half the students were from UofL, where the event was held, but there were several from the University of Kentucky, from Berea College, and others. Some of the teams created physical products, and others created digital ones. There were several sponsors, presentations, mentors, tools and parts, and so so much food. Experts from the region came to offer tips and troubleshooting to the teams. The city’s Chief Data Officer, Michael Schnuerle (right), talked with several teams about Louisville’s Open Data Portal, and the myriad of ways that it could be used. The full list of 26 teams is here, with the winners at the top (look for the diagonal yellow “winner” stripes). Knowing several astrophysicists, I was quite impressed with CenterScope, that automatically centers your telescope on a star you want, without you having to manually fiddle with the delicate calibration knobs. It was cool to see Alexa used for Smart Chess by letting you speak your move, with a synchronized electromagnetic chess board would move the piece on your board and on your remote opponent’s board. 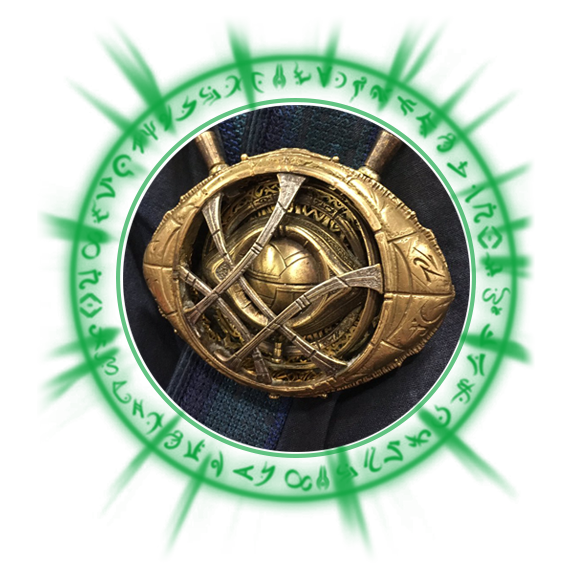 Your opponent would then speak his move, and so on. A bunch of my friends formed the LouTrail team to recommend local restaurants and attractions. They won a special award for best use of local data. Silent City combined the input from (proposed) sonic detectors throughout the city to map the noise pollution, much like Air Louisville did for the air quality (cleverly syncing asthma inhalers with a smartphone gadget to “phone home” when it was used, to identify to parts of town that were hardest on the lungs). New Home for Me combined data for crimes and a dozen other sets with real estate listings, to help home buyers find a place that really fits their needs. Physical Threat Intelligence used facial recognition technology as a “key” to grant access (and potentially other tasks). The Smart Dollhouse was lots of fun. The team wanted to work with “smart home” technology, but since they couldn’t bring an actual house with them, they brought a tiny one. They installed cameras, motion sensors, heat sensors, and app-controlled door locks. Since the dollhouse had an elevator, which was broken, they fixed it! And also tied that to a smart app. It won the award for most potential value / biggest market. The big winner was SnapCal, led by my friend Ishwar Agarwal, an app that uses pictures of your food to determine the calories. It sounds simple, but took a lot of computer know-how to pull off, using Machine Learning to translate an image into a food, then displaying the nutritional information. Besides being technically challenging, I think it reflects the health and fitness focus of today’s youth. 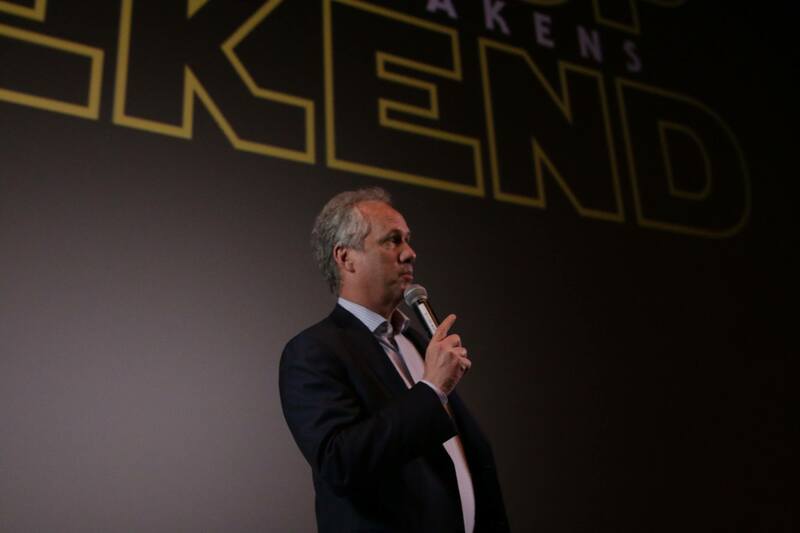 Since Louisville’s Mayor Greg Fischer was an entrepreneur himself (behind the combined soft drink / ice dispenser), he loves coming to hackathons, especially ones that are student-led and student-competed. Our future is in good hacky hands. A hackathon is an event for making. Sometimes it’s making something physical, sometimes digital, sometimes service-based. The hackathons that I’m a part of tend toward digital. 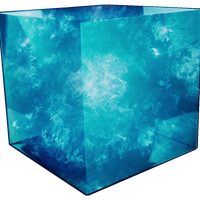 It might be converting something to a new format, transferring it to a new platform, combining things, securing something, analyzing something, open up access to something, or anything else along those lines. visualize several years of bicycle accidents, filtering results by time, number of injuries, weather, etc. March 4 2017 was “International Open Data Day.” Hundreds of cities around the world held hackathons and other events to celebrate, to educate, and to serve. Open Data is a philosophy that information should be available at no cost. Government data, being underwritten through taxes, belongs to the American people (at least in theory). Downloadable/accessible datasets for crimes, parks, restaurant health inspection scores, and similar information can be used to help everyone. The Louisville government is at the forefront of open data. The data.louisvilleky.gov website has hundreds of datasets free for public use in a variety of formats (shapefile, json, csv, and more). In Louisville, we chose “public safety” as our hackathon theme. Volunteer hackers could work on whatever project they’d like, of course, but event captains (Becky Steele and Margeaux Spring) arranged for representatives from the police department and other areas of government to share their needs and offer advice. 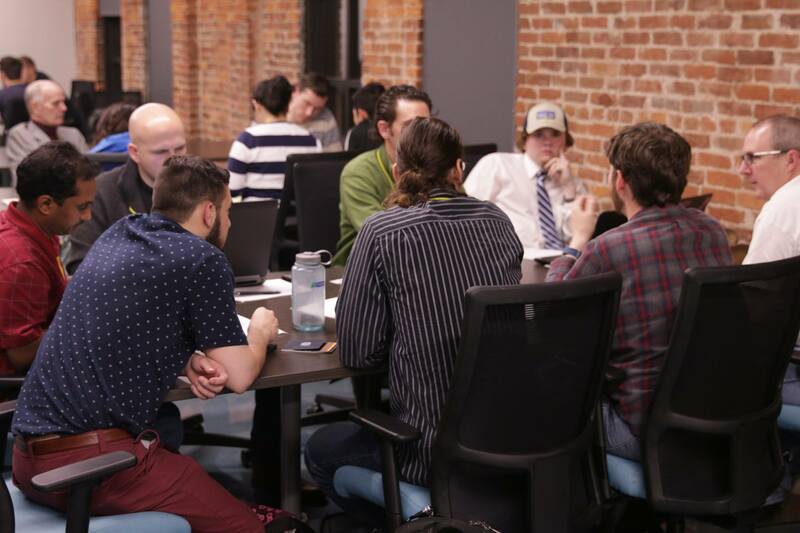 The hackathon was held at LouieLab, a dedicated space for government and the people to work together on projects. Forty to fifty volunteers worked on projects all day (detailed blog about the projects here). Our volunteers from 2017; look at last year’s team here. I worked on two projects, and also floated around a bit helping teams as needed. I wrote my first Alexa Skill! The Amazon Echo / Amazon Dot has a speech interface, so people can access the internet by voice alone. The Civic Data Alliance will host another hackathon for the National Day of Civic Hacking, and will ramp up to monthly public meetings and hackathons once per quarter. Join the meetup group and the slack team. In honor of St. Valentine’s Day, here is some of my favorite love songs. Some are well known, but there are probably others you haven’t heard before. Others: Honorable mentions, or barely-about-love songs. I do what I can to stay involved in the local community. Here are some of the groups, places, and events where I spend the most time.